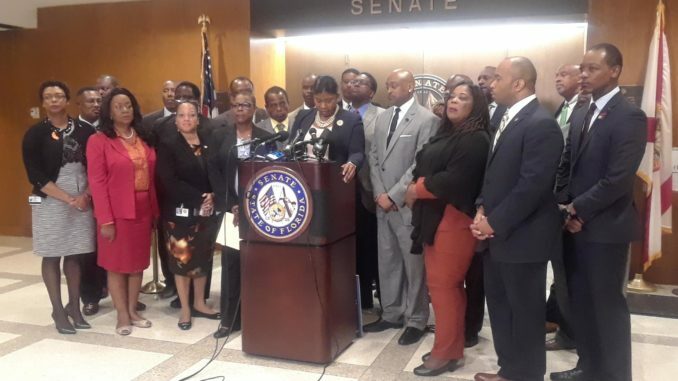 Members of Florida’s Black Legislative Caucus collectively address the media on the gun bill. 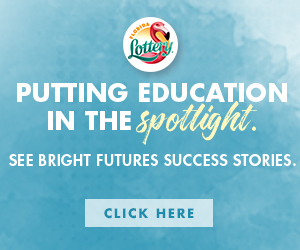 Petty’s 14-year-old daughter, Alaina, was killed in the Feb. 14 shooting, along with 13 schoolmates and three staff members. Democrats alike said there were parts of the bill they didn’t like. Democrats didn’t like the idea of letting teachers carry guns, even if the bill was amended to water down that proposed program. And many pro-gun rights Republicans didn’t like the idea of raising the minimum age to buy rifles from 18 to 21 and to create a waiting period on sales of the weapons. Members of the Black Legislative Caucus has said the gun safety bill has been challenging because of the “arming teachers” provision. 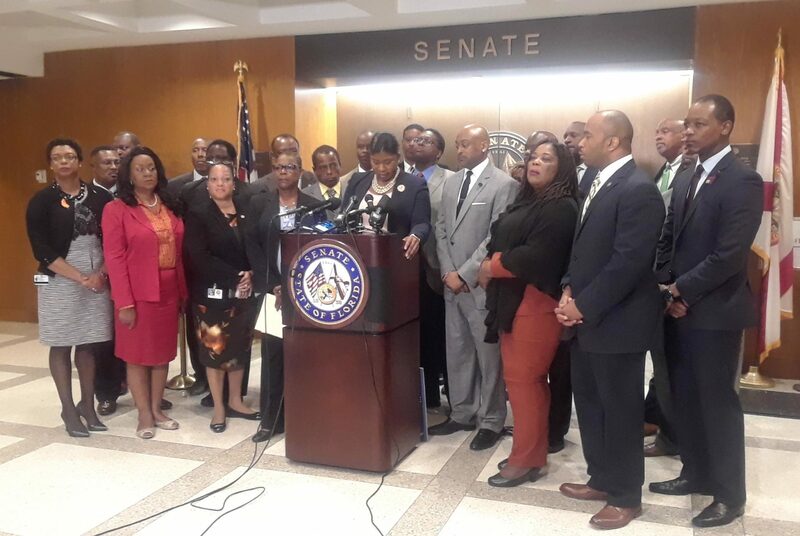 Some talked about what this legislation could do to minority students, such as Rep. Kamia Brown (D-Ocoee).